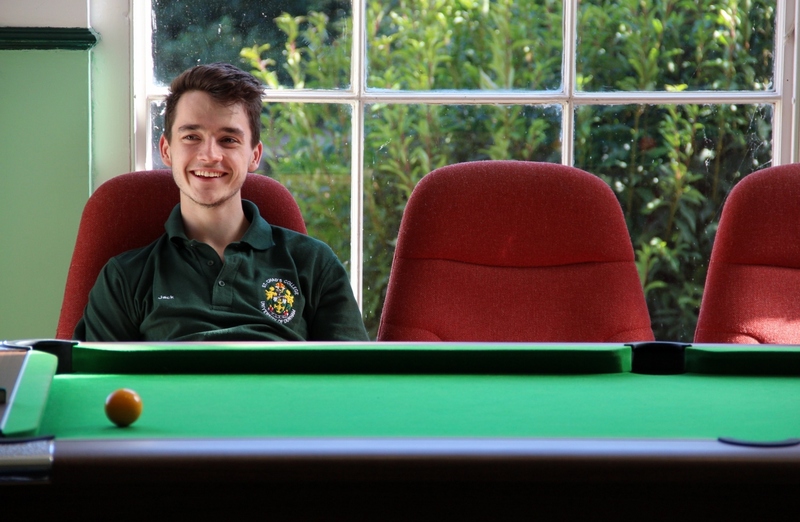 St Chad’s prides itself on being one of the smallest and oldest of the colleges in Durham, but we’re also incredibly laid-back and liberal-minded. We take the academic side of things seriously, but we also know how to have fun and relax. Over the last ten years, for instance, our students have not only the highest academic results in the University but the highest sports participation rate, and our social life is second to none. We’re also very well-equipped. Our bedrooms have all been refurbished to a very high standard in the last three years. We have, by far, the most extensive library facilities of any college – with eight internet-equipped library/study rooms (over 100 study spaces). Over 67% of our rooms are en suite and our busy dining hall turns out 600 hot meals a day. Our computer room is being constantly updated, and our sports people ensure that our gymnasium fits the bill. Our subterranean student bar was expanded several years ago; and a second bar can be found in the Quad, which can seat up to 120 people. The College’s boat-house is older than anyone can remember, but it’s still running (though plans are afoot to build a new, larger facility in the next year). At the end of the day, buildings are buildings, but our real strength is our students. They are the College, and they come from every sort of background and from over thirty countries. People expect smaller colleges in older universities to be exclusive or quirky (the College does have its quirky bits – see left), but we like to think we’ve got the balance right in terms of keeping academic expectations truly high while encouraging students to have a fantastic time. There is a good mixture of undergraduates and postgraduates at Chad’s. This is very deliberate: the last thing we want is for our College to be seen as an extension of sixth form. Instead, this is an adult community, where some are a bit older and some a bit younger. Students at Chad’s — whether undergraduates or postgraduates — have a huge say in the running of the College through their student representatives. Because we are an independent college within the University, all key decisions are made locally, and students play an integral part in decision-making and governance at every level of College life. Being one of the smaller colleges in the University, St Chad’s students try that much harder, and that perhaps accounts for the College’s incredible spirit. In larger institutions people can often become ‘familiar strangers’ and don’t really get to know one another. Oddly, we find that a smaller group can be more accepting of differences than larger groups, chiefly because there is less likelihood of the group fracturing into factions. Nor is there any real fear of living in a goldfish bowl, of everyone knowing everyone else’s business: being part of a small community means having regard for each other’s need for privacy and for keeping a respectful distance. We try hard to ensure that people feel free to opt in and out of communal activities as they see fit. Being a community means being respectful friends, not being members of a dominant tribe. All undergraduates automatically become members of the Junior Common Room (JCR). 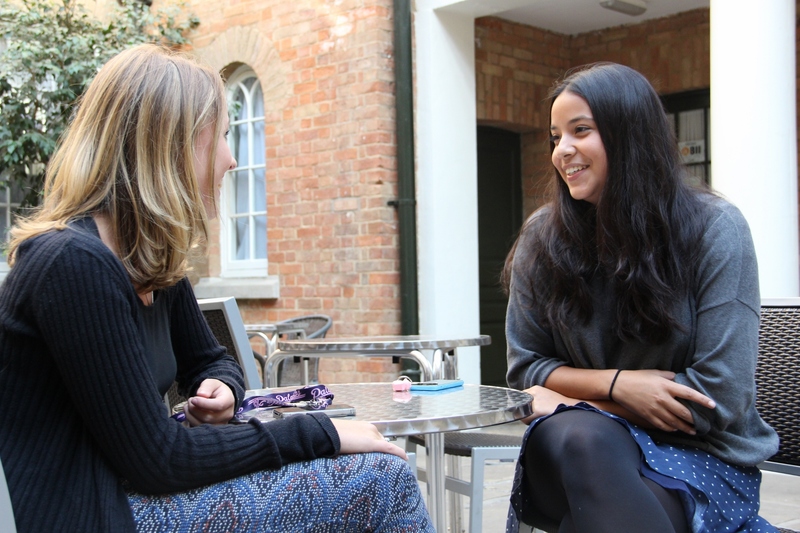 The JCR organises many aspects of life in College and represents students on all the key college bodies, including the College’s Governing Body. The JCR Executive (the Exec) is elected each year, and it includes such officers as the Social Secretary, the Welfare Officer, and the President of the Bar Committee. The Executive is led by the Senior Man or Senior Woman. A similar parallel structure exists for postgraduates. In addition to serving on the Executive, students can be involved in numerous ways in College. 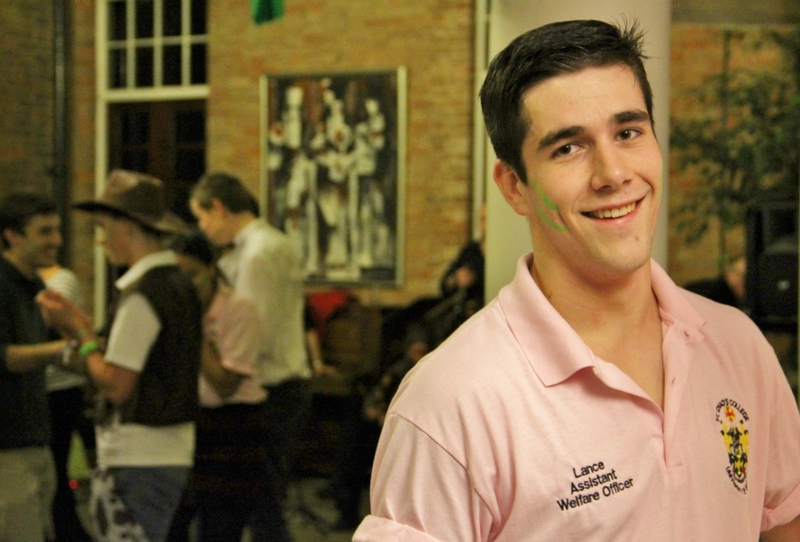 Students organize the College’s social events, including the Candlemas Ball. They put on plays and concerts; they help write the Alumni Magazine (The Chadsian) and other College publications. Some students are employed during the vacations, and the Libraries and College bars always need staff. Staff and Exec members meet twice a term for formal meetings, where the emphasis is on effective (and speedy) decision-making. The College is proud of its ability to react quickly to student needs; and, while not everything on everyone’s wish list can be fulfilled, a shared view usually develops among the students and staff. 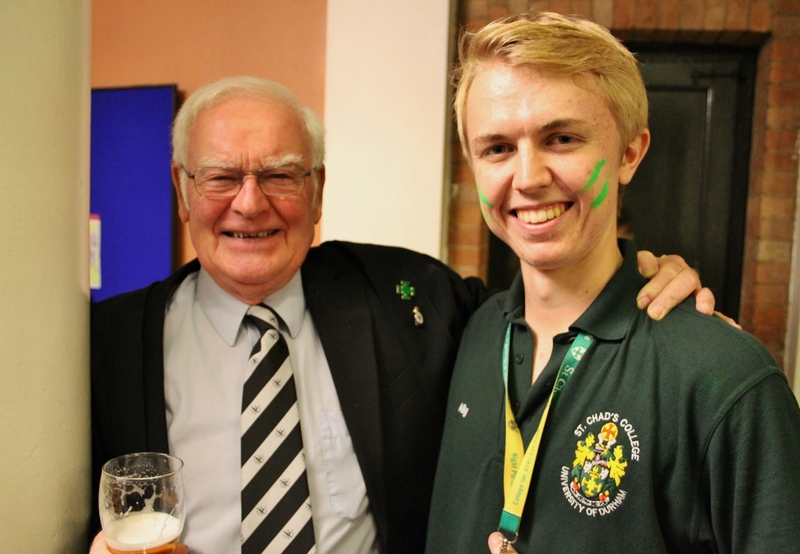 The JCR Social Secretary regularly needs volunteers to help organise dances, talent shows, contests, music events, excursions as well as some of the key social events that take place in College every year. St Chad’s College is located very close to both the Music Department and the Cathedral, with whom we work closely. 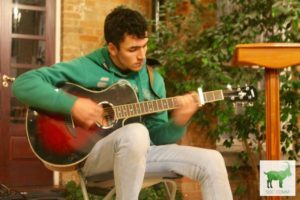 Our students put on an annual music series, and there are twice-termly informal concerts. At various times, there are high profile events held in College, such as Durham’s Jazz festival and other recitals. We have an excellent college choir (40-50 voices), with organ and choral scholars and several musical ensembles. The choir tours internationally every year and generally produces a CD during the year. The College is home during the summer to a number of visiting choirs. There are pianos available in the College for music practice. The College also puts on a number of plays each year, and many students perform in other productions around town (see Culture page). The College is fortunate in having a professional stage director as a College Fellow who helps out budding actors. We have a steady stream of other visiting scholars. Not surprisingly, we have regular poetry readings and other literary events throughout the year. St Chad’s is committed to sustaining a College culture in which we support our students in their achievement of the highest academic results and our staff in their engagement with world class research. Through our dual emphasis on research and student-support, the College provides an academically-focussed environment and rhythm of life, where academic activity is clearly and structurally valued. We welcome the most able and the most committed students, no matter their background. We nurture the links between academic and personal development, chiefly through our tutorial system, our Collegiate Studies Programme (including support for enterprise initiatives and training), our support for music and the arts, and our international programme — all of which add to departmentally-based learning in a multi-disciplinary collegiate context. We thrive on challenging one another — students and staff — to face the thorniest issues both in and across particular academic disciplines. We explicitly seek to enhance teamwork, creativity and leadership through our formal Collegiate Studies activities and through our engagement with each other, through sports, cultural and religious activities, and beyond, through community engagement, at home and abroad. We strive for a diverse and international student experience. One of the chief advantages of collegiate life is the opportunity to meet students and staff from other disciplines. Often the best learning occurs in informal settings — over a meal, in the bar, walking into town. The College is committed to preparing students for the future job market. Our in-house Sed Vos programme includes events aimed precisely at employability skills. Regular visits by recruiters (often alumni) are scheduled throughout the year as are mini-courses on CV writing and performing at job interviews. The College is committed to playing its part in the region. In recent years, the College has been attracting staff with a special interest in urban regeneration, small business support, and microeconomics. The College sponsors Away Days for students and staff, with trips throughout the region, mixing a bit of fun with some serious academic engagement. St Chad’s has an enviable sporting tradition: a look at all the rowing pictures, oars and bits of boats in the College’s libraries would show you how serious we take our sport. Most first year students sign up for the rowing club (the rowing club has 90 members), and give it a try. The College has its own boat house on the River Wear, and we own a good portion of the river (the College is legally entitled to charge a toll to allow people to pass through our portion of the river. Though we don’t do so, it would be a nice way to slow down our competitors during a race!). Whether or not you’re into rowing, the College has men’s and women’s teams in almost all university sports. Our men’s rugby team (coached by our own staff coach) and our women’s hockey team are particularly strong, and our fan support is even stronger. 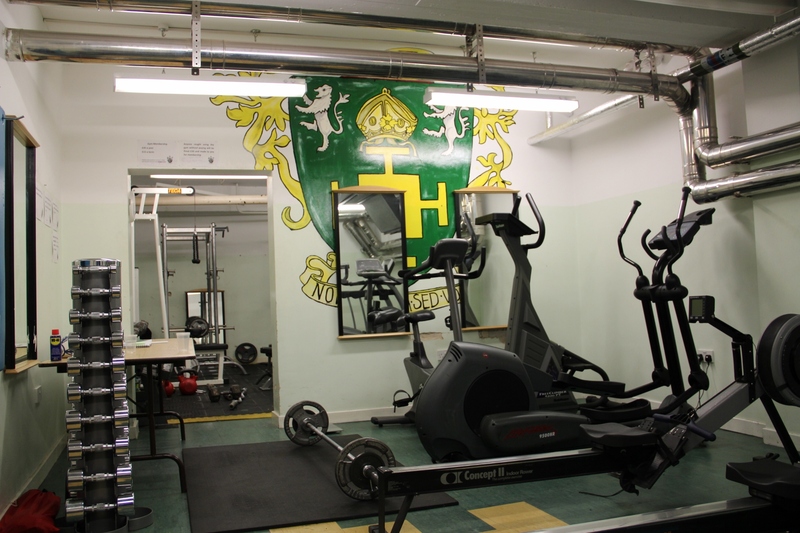 St Chad’s College has a fitness suite equipped with weights, several rowing machines and other exercise equipment. Our College prides itself on its tutorial system. We have a student to tutor ratio of fifteen to one, which, as far as we know, is the best ratio in the University. In Durham, College tutors (or mentors) are the front-line of student support, and they help students adjust to university and college life. They offer moral support and refer students to the Senior Tutor or to others for specialised support and advice. Some College tutors are also subject-specialists who can augment the academic support provided by departments: they won’t teach you per se, but they’ll help you to get a handle on the challenges of academic life. Other tutors work outside the University, offering students golden opportunities to discuss career prospects from a world-of-work perspective. At St Chad’s, even though everyone is assigned a particular tutor, students are encouraged to approach any member of the tutorial team, especially to explore career options, but also to seek other forms of advice. All tutors schedule regular meetings with their students (at least one per term plus a social meeting). The Senior Tutor ensures that the whole tutorial system is running smoothly and that the quality and level of support are just right. The Senior Tutor is available most days, and can refer students to professionals outside the College whenever circumstances require it. In addition, the Principal, the Chaplain and the other resident College Fellows are available throughout the week. The College is especially grateful to its postgraduate and senior undergraduate students who often mentor students in particular subject areas. This can happen informally (say when you’re sharing a library room) or more formally when the Senior Tutor arranges for extra help. The most important support network is constituted by the students themselves. First year students are all given the opportunity to link up with a more senior student (a student ‘parent’), who will be available to guide them through the wonderful maze of College life, not to mention the maze of cobbled streets around Durham. The JCR student welfare officers are also invaluable to students who need a welcoming and patient ear. 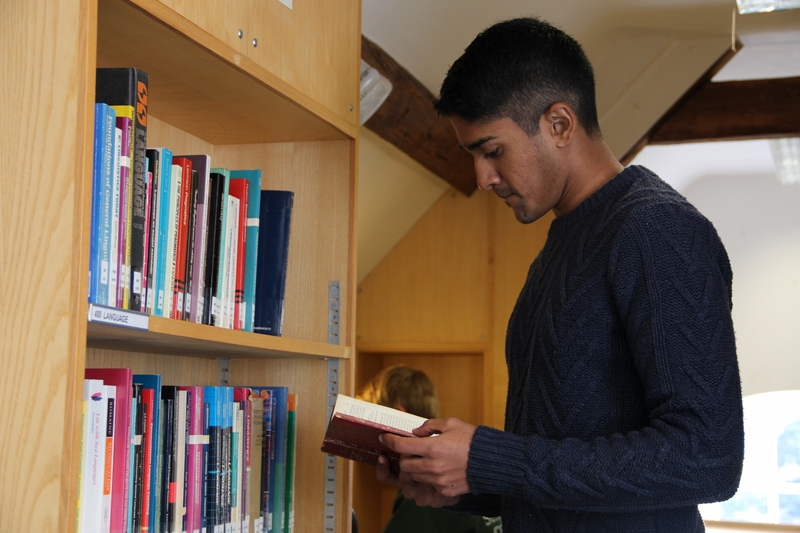 At St Chad’s College, we welcome applications from men and women of all social and ethnic backgrounds without reference to political or religious beliefs to read for all degrees at the University of Durham. The College is part of a University-wide transparent admissions process. The College particularly encourages students from a wide variety of backgrounds to apply.